Hour 1: What causes a behavior to become a habit? Why are good habits so hard to develop and how are marketers and corporations capitalizing on our habits? We’ll talk this hour with The New York Times investigative reporter Charles Duhigg. 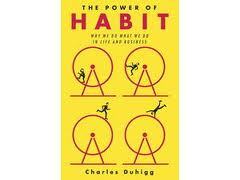 His new book is “The Power of Habit: Why We Do What We Do in Life and Business” (Random House, 2012).